Elvis Presley was known by his fans as “The King”, the nickname is also applied in stockcar racing to Richard Petty………so it is clear that you have to be more than a bit special to get this moniker applied to you in your particular field………..well, as most of you are already aware drifting has its own royalty. Keiichi Tsuchiya, “Dori Kin” or “Drift King”, one of the most important figures in the sport of drifting, has made the film (The Fast and The Furious – OK just a cameo appearance), written the book (The Drift Bible – in reality a DvD) and probably has the T-Shirt (with my accuracy a pair of trousers)……you will all be familiar with his story……….or are you? As well as his drifting exploits he was a top line sportscar driver who came very close to winning the world’s most famous race outright. 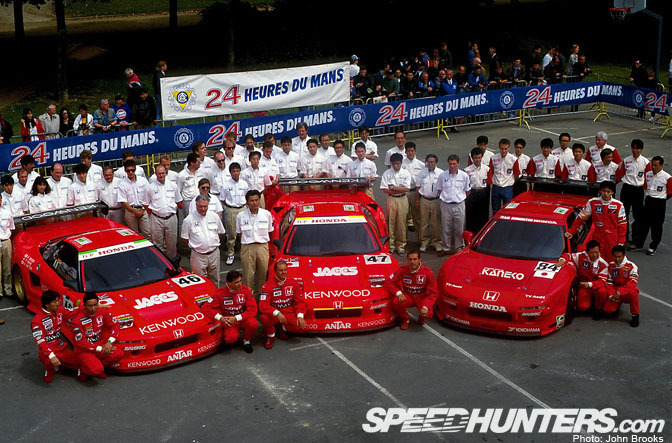 The event in question was the 1999 Le Mans 24 Hours when driving for Toyota. 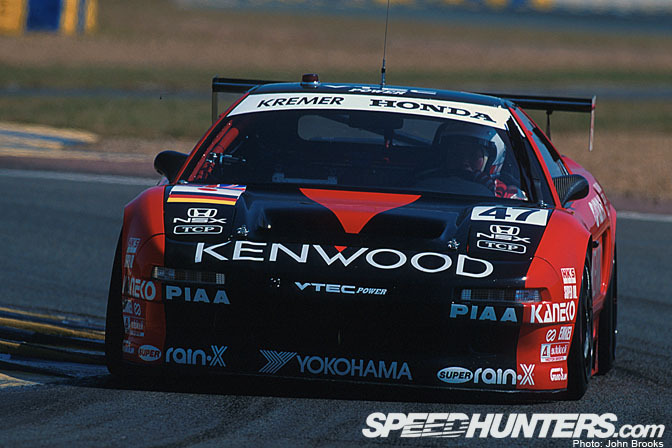 Tsuchiya had driven in the French Classic race several times before, notably taking a class win with a Honda NSX in 1995. However in 1998 and 1999 he was part of a squad that was aiming for outright victory. 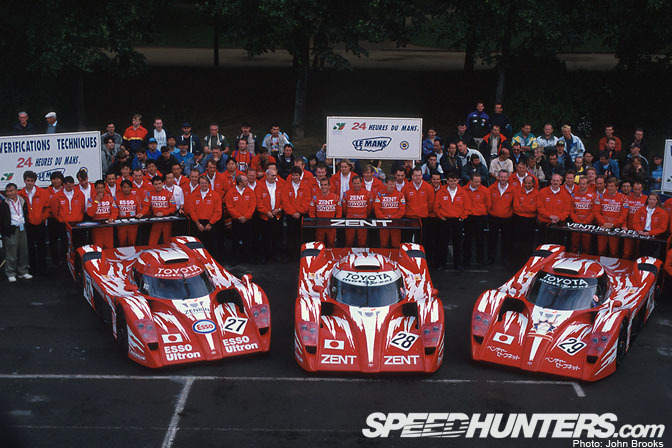 The team comprised of three cars with three drivers per car. 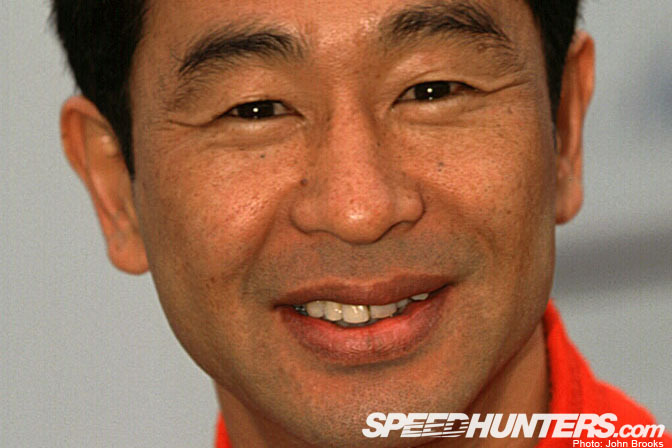 Tsuchiya’s team mates were Toshio Suzuki and Ukyo Katayama in an all Japanese line up. It would appear that the trio were under team orders to maintain a conservative pace right from the start. As the race unwound this cautious approach began to pay dividends as one by one faster cars dropped out of the race (including the spectacular Mercedes back flip off the circuit) till it became a straight fight to the flag between the Toyota and the second BMW. 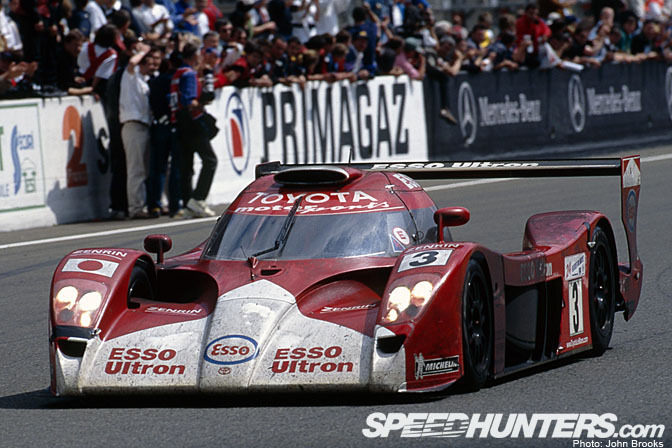 In the last hours the victory was decided when the Toyota sustained a puncture while lapping another competitor and lost a lap. 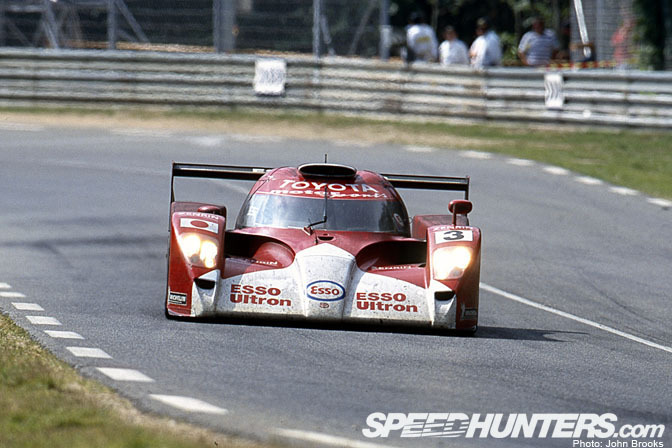 Second place was still a fine result but Toyota had Formula One in its sights so the sportscar programme was ended that season. 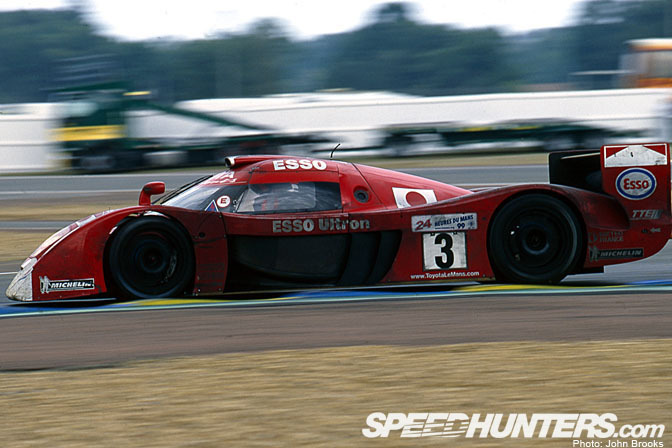 Tsuchiya returned to Le Mans for the final time the following year driving a Panoz to another finish. Seven races and six finishes, a record to be proud of. 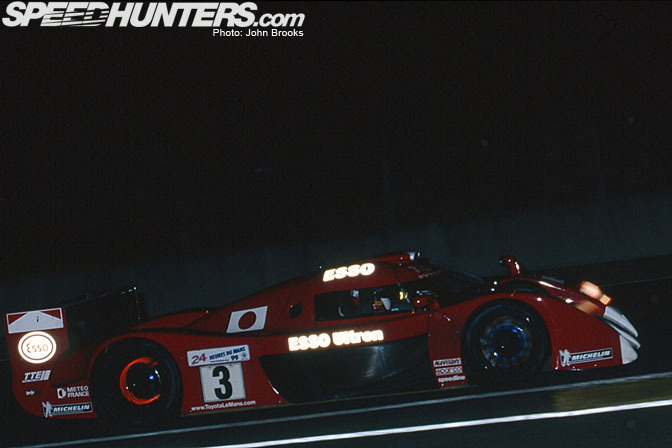 In 1994, Tsuchiya make his debut at Le Mans in the Honda NSX. 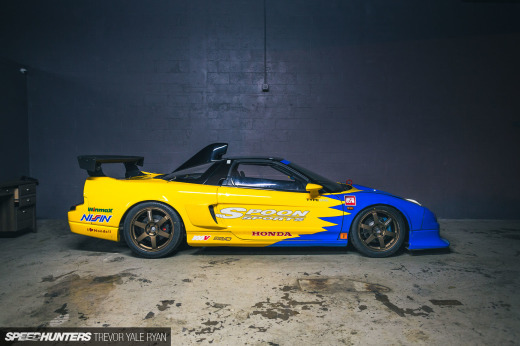 After a difficult race the NSX finished in 18th place overall, last car classified. Through the Ford Chicane on Saturday Evening, June 1998. June 1999. A consevative start for the third Toyota approaching the Dunlop Bridge. Sunday Morning and chasing the leader in 1999. 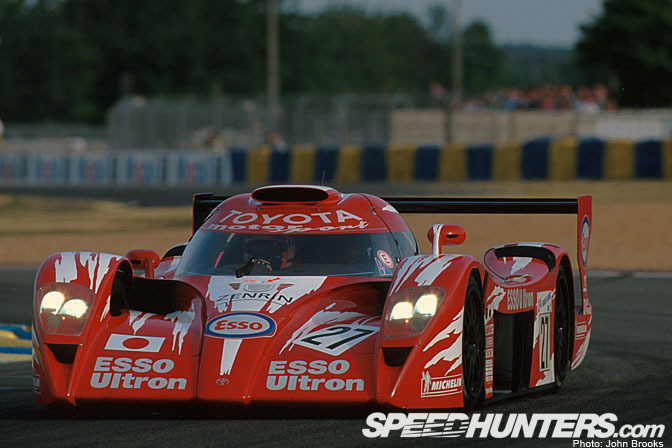 1999, on the way to second place overall with the Toyota GT-One. 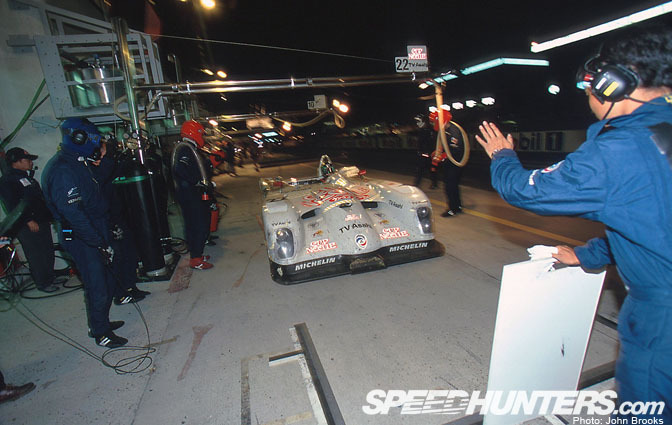 2000, the crew poised, Tsuchiya brings the Panoz LMP01 into his pit. 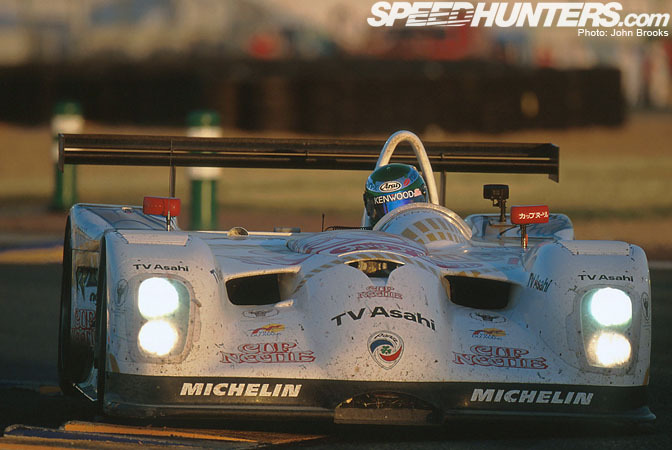 Tsuchiya still uses the same helmet as he used when he was driving for Panoz. Fantastic photo history here. You guys are going to be out of content in a week! John Brooks, we bow down to you. You da MAN! Tsuchiya is The Man. period. Those are some great pictures. Really amazing feel, as I've never seen it from that view. Now all you need is coverage of the Toyota GT-One road version. Then I'd officially love you all! tsuchiya is still the man from japan! great resume of his life!!! 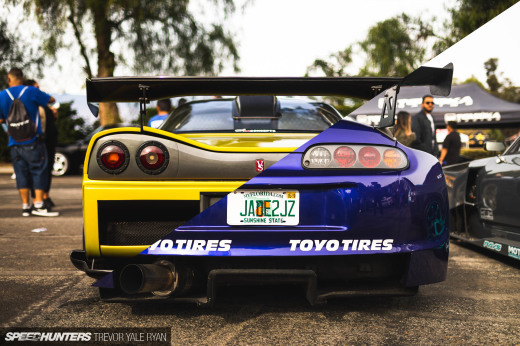 Very surprised he drove Toyo GT-One !!! 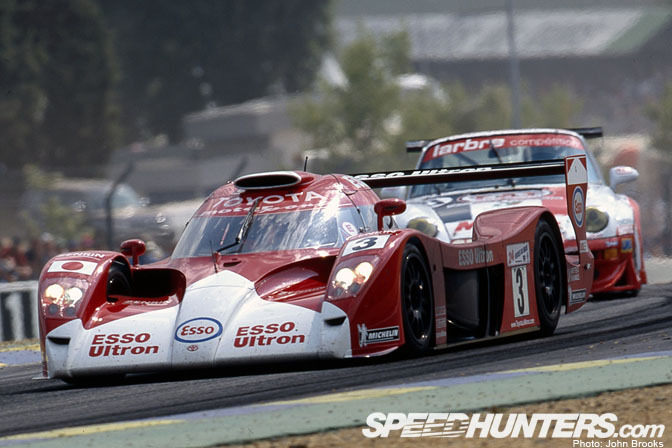 Thanks folks.......I enjoyed looking back 10 years ago.......the GT-One was a fantastic car.........and it is likely that we will see its successor at Le Mans soon...Toyota want to bring a hybrid to run in the race..........2009 could have Audi v Peugeot v Accura v Toyota v Aston Martin for the big race. Actually John Brooks everybody needs F1, it is the highest form of driving. F1 the highest form of driving???? F1 these days is all about the "package" (ie car, money, team, designers, money, money, money)....More like the highest form of spending..............it ceased to be sport 10 or 15 years ago.........it is now a business. Stirling Moss could drive around problems and beat superior cars in 1961............Kimi, Lewis, Fernando could never do that now..........and there's no doubt that they are talented but the machines have taken over. For the fan going to Le Mans gives you way more bangs for your buck...........but different strokes for different folks......some folks feel that way about stock cars. Monaco is different, I went as a spectator back in 81 & 82, getting a seat at the Rascasse Bar, to say that it was a form of motorsport heaven would be to understate completely. 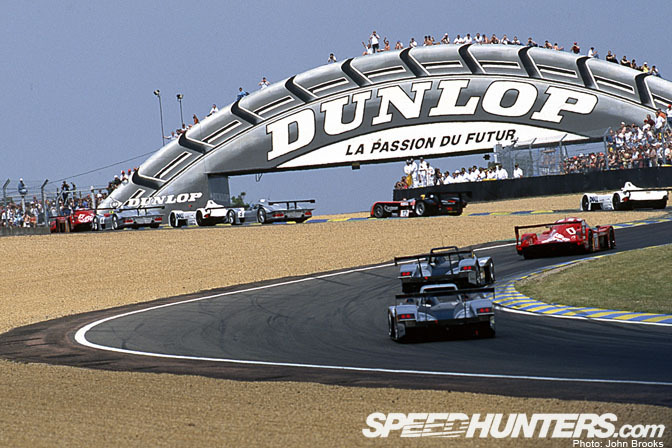 Of course I respect the abilities of the drivers and the teams............they are some of the best guys out there but the direction that the rules took in the 90's have sent the whole effort up a technological blind alley leading to largely processional races. I am lucky enough to go elsewhere these days for motorsport..............the last Grand Prix I attended was 1986 when Mansell came from a minute down to beat his team mate Piquet on the penultimate lap. It doesn't get much better than that.